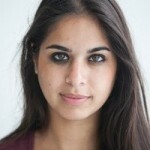 Layla is a London-based writer and freelance journalist. Her words have appeared in VICE, The Telegraph and The Independent among others. Formerly Culture Editor at Kettle Magazine, Layla is continually captivated by London’s vibrant theatre scene. Her biggest acting acclaim was playing the moon in a school play. Wrought with gun violence, this leaves you long pondering not only the effects of police power but their predicament long after the play is over. Sterling stuff. However, while the pace of the comedy occasionally dips in the second half, this production of Coward’s play is a gem, proving the enduring relevance of Private Lives and its ability to delight contemporary audiences.